Eric Robert Parker was born at Stoke Newington, North London, on the 7th September, 1898. Parker's talent was spotted by Union Jack editor Harold Twyman in the early 1920s. Parker was assigned as an artist on 'Sexton Blake', and he became one of the main and best illustrators of Blake stories for thirty years. 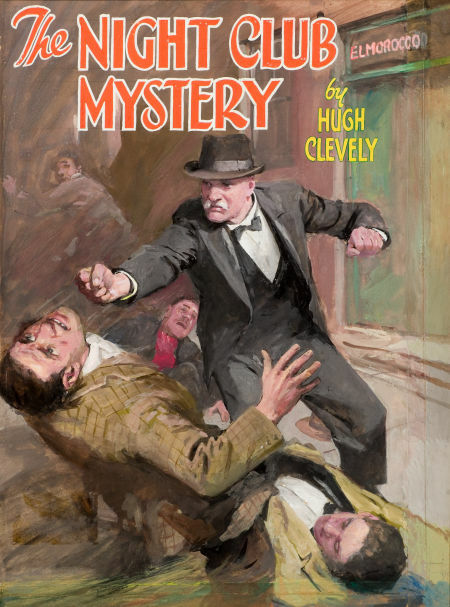 Besides the Union Jack, his work also featured in the Detective Weekly and The Sexton Blake Library. For Amalgamated, Parker illustrated for Thriller and the Daily Mail Annuals. In addition, Parker did 'The Story of the Soldier' which later became the 'Scrapbook of the British Soldier', in the boy's magazine Ranger in the 1960s, as well as 'Buck Jones' in the Cowboy Picture Library. He died at Edgware General Hospital of double pneumonia on 21 March 1974, when he was 76 years old.